If you’re using Google AdWords to drive traffic to your landing pages, you’ve heard of a click-through-rate (CTR). CTR is a major defining factor of an AdWords campaign, second only to conversions. The difference, however, is that your click-through-rate can be improved using techniques to modify your ads and placements only, while conversion rates are more influenced by the content and calls to action on your landing page. 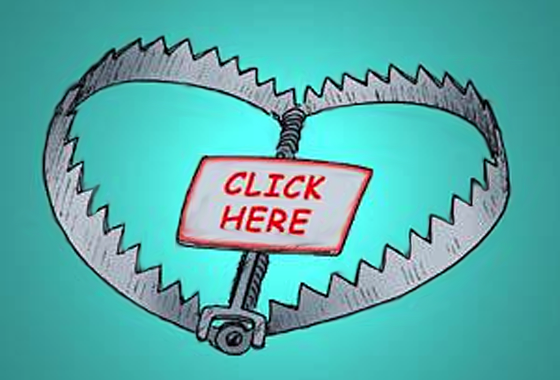 Here are 7 ways to improve your PPC Click-Through-Rates… (btw, the video is at the end). Redfly Marketing offers this tip, pointing out that tying events and holidays into promotions can be help improve click-through-rates. This method can also be used to tie in relevant industry happenings, trade shows and other timely events that might catch a searcher’s eye. Takeaway: Incorporate what’s hot and capitalize on industry and world events. Example: Use the term “drop holiday pounds” in a weight-loss product ad. A useful tip from SBX Marketing suggests using negative keywords to decrease traffic from related but irrelevant searches. A negative keyword excludes your ad from appearing on search pages making use of the term. Takeaway: Get rid of the extra irrelevant fluff by specifying what you’re not looking for, and reduce under-performing traffic. Example: If you’re running a campaign for sports photos, use the negative term -medals to eliminate searchers looking for trophies and medals. A question, especially one that strikes on a need or desire, elicits a response from a reader. If your question resonates with searchers, your CTR will improve because it builds curiosity. Takeaway: Tap into emotions by asking pointed questions that touch on hot selling points or benefits. Example: Going back to the weight loss example, asking a question such as, “Want to drop four sizes?” or “Want to sizzle in your New Year’s Eve dress?” both evoke emotion and elicit response. The second example also incorporates tip number one. Use natural repetition. Use your keywords as often as naturally flows within the context of your copy. Don’t try to force keyword repetitions, or your ad will read like spam. Targeting is common sense if you’re familiar with your ideal consumer. Do you sell to folks outside of the U.S.? Is your target customer male or female? Educated or not? High or low-income? These are all questions to ask yourself as you target your ads to show only to your ideal audience. Takeaway: Don’t waste your time–or your money–promoting your ads to customers who don’t care. Take the time to identify your target consumer. Example: Don’t try to sell AdWords marketing advice to law students. You want to send ad traffic to relevant landing pages; therefore, your landing pages should be consistent with the ad campaign you’re running. In other words, if your ads are targeting keywords that don’t appear anywhere on your page, your CTR will suffer as well as your quality score — and the lower your quality score, the higher your cost-per-click can be. Takeaway: Don’t try to trick Google. They are too smart for you. Example: Ensure that your ads and landing pages are targeting consistent keywords for maximum results. You’ll want to experiment with different ad placements in order to get the most results from your ad campaign. Plan to spend a good deal of time evaluating the ROI of your campaigns. Is it worth it to pay more per click for a higher-performing ad position on a page? Or is your ROI greater if you’re paying less per click for a less than ideal position yet still getting ample click-throughs? Takeaway: Obviously, you want to get the most results with the smallest amount of money. It’s up to you to find the sweet spot. Example: You may place ads targeting lower-performing keywords in better-performing spots, or vice versa. This will take some experimentation. Be prepared. 7. Don’t forget your landing pages! It has bugger all to do with Click-through-rate, but it has a massive impact on what happens after the click. So remember to create one landing page per ad and make it unique (that means original content and a matched message to what your ad is saying). For more check our this infographic and blog post on the subject. 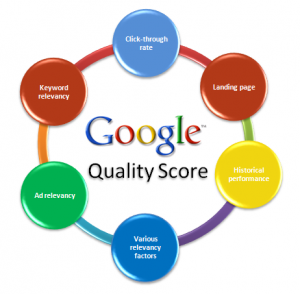 Google AdWords can be a fantastic way to drive traffic to your landing pages. But don’t be fooled into thinking it’s as simple as throwing up a couple ads and watching the traffic pour in. There are many factors to take into consideration, but with the right recipe, you can get an incredible ROI from an AdWords campaign. If you’d like to learn some more about getting started with PPC – watch this SEOmoz Whiteboard Friday Video session from Tom Critchlow which breaks it down nicely.